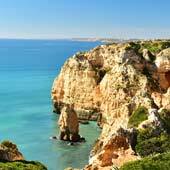 Lagos is one of the greatest holiday destinations in the Algarve, and combines a stunning coastline, a charming historic centre and lively nightlife. 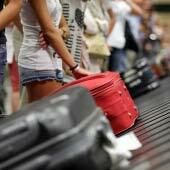 Lisbon is the vibrant capital of Portugal and is also the location of the country’s main international airport. Lagos is 250km south of Lisbon and both cities are connected by reliable and inexpensive public transport. 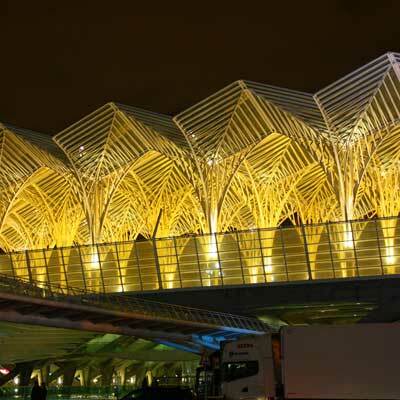 This guide will detail how to travel from Lisbon to Lagos by bus or train, and includes ticket prices, links to timetables and station information. 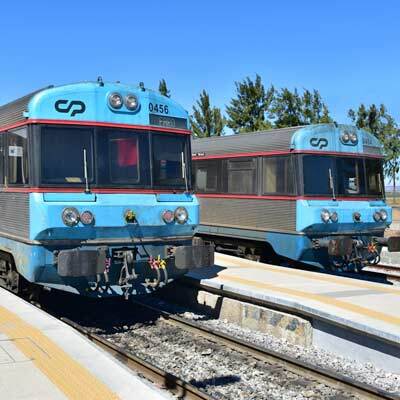 Bus or Train between Lagos and Lisbon? There are both bus and train services that connect Lisbon to Lagos, and there is very little to separate them. The express bus services provide a direct service and use modern, comfortable buses. Whereas the train is more relaxing and spacious, but a connection is required in the small town of Tunes. Both options have similar journey times; 3h52 for the train and around 3h45 for the bus (but there are slower routes up to 4h15m), and the fares are similar; the cheapest adult single bus fare is €19.00 or €22.45 for the train. The choice between bus or train is really down to your own personal preference, as neither one is significantly better than the other. The bus is direct, but the train is more spacious and provides more leg room. The following section will detail both the bus and train services in greater depth. Insider tip: Two of the train services continue from Lisbon northwards to Coimbra, Aveiro and Porto. 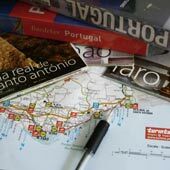 If you are planning a touring holiday this route is a great way to travel from one end of Portugal to the other. If you take just one thing from this article, it should be to book your seats (for both train and bus) in advance of the journey, and this is especially true in the busy summer season. The intercity train between Lisbon and Tunes has to be booked before travelling, as each ticket is designated a seat number. 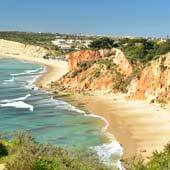 Bus tickets should be purchased before the day of travel as the routes that pass through Portimão and Albufeira are very popular. 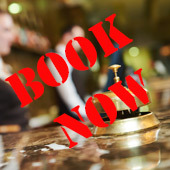 Advice: There are many third-party booking websites, but it makes sense to book directly from the Rede Expresso websites (for the bus) or the Combios de Portugal (for train tickets) – links are given below. 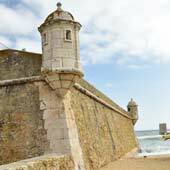 The remainder of the article will explain in depth travelling from Lisbon to Lagos, by bus first, and then train. Bus travel in Portugal is safe and inexpensive, and the buses used are clean and modern. 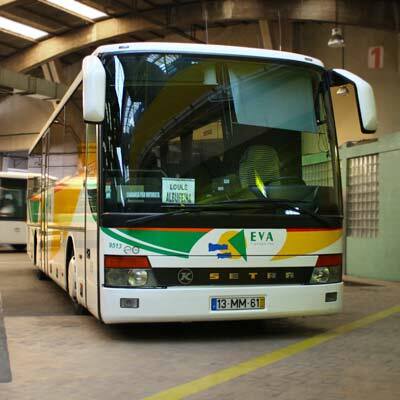 The main intercity bus company of Portugal is Rede Expresso, but they also own Eva, which is the largest bus operator in the Algarve. There is a third bus company, Renex, who was once a private company, but in 2016 were also acquired by Rede Expresso. So, on the first appearance, there seems three different bus companies offering service between Lisbon and Lagos, but in actual fact, they are all the same company. This combination makes it easy for travel planning and when purchasing bus tickets, as it all can be done from the Rede Expresso website. There are a total of five different bus routes from Lisbon and Lagos, with a mixture of Rede Expresso, Eva or Renex buses. An adult single ticket costs €19.00/€20.00 (Rede/Eva – for some reason Eva routes cost €1 more) and a return is €34.00/€36.00 (Rede/Eva); prices correct Feb19. Advice: Take care when selecting the bus route as the fastest service takes just 3h45min, whereas the slowest takes 4h55min. 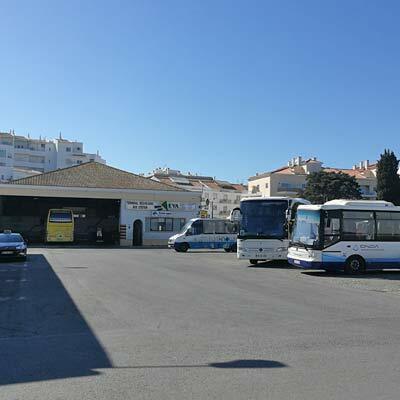 Sete Rios is the main bus hub in Lisbon for Rede Expresso, so when using the search feature on the Rede Expresso websites always use “Lisboa Sete Rios”. 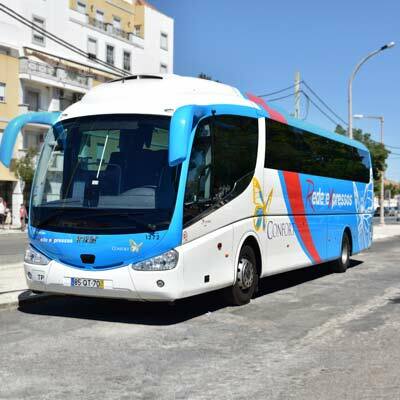 Tickets during the high season should always be pre-booked, and you should take into account that all bus services get very busy on Sundays, when the Portuguese head back home after their weekend breaks to the Algarve. Warning: The Renex bus services depart and terminate at the Estação do Oriente bus station. 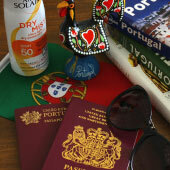 Always confirm the departure location in Lisbon on your ticket! The Eva and Rede Expresso buses depart Lisbon from the Sete Rios bus station (GPS: 38.741775, -9.165998), which is the main bus station of Lisbon. It is located on the blue metro line and is connected to the Jardim Zoológico metro station. Some Renex buses depart Lisbon from the Estação do Oriente bus station (GPS: 37.108876, -8.672080), which is in the Parque das Nações district and is connected to the red metro line. Both Sete Rios and Estação do Oriente are large and modern bus stations with late opening ticket offices and generally good facilities. Lisbon bus stations are safe, but always use common sense when passing through as pick-pockets are always on the search for easy opportunities. Lagos bus station, the Terminal Rodoviário (GPS: 37.107309, -8.676388), is much smaller and is just to the north of the historic centre of the city. Lagos bus station ticket office is open every day from 7:30 to 20:30. 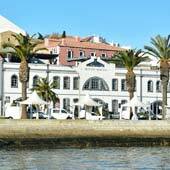 There are two distinct sections to the train journey from Lagos to Lisbon; the first is the slow regional train from Lagos to Tunes, and the second is an intercity express service from Tunes to Lisbon. 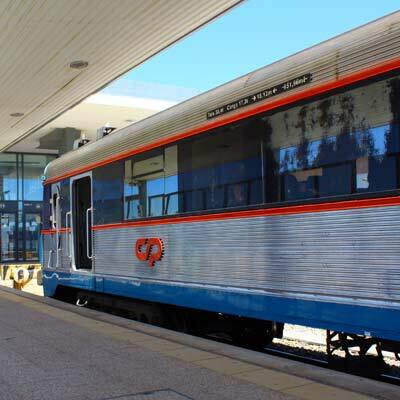 There are two types of train between Tunes and Lisbon; the Alfa Pendular, which is faster and more modern train, or the Intercidades (intercity), which uses slightly older carriages. An adult single fare from Lagos to Lisbon using the Alfa Pendular train is €30.25/€23.45 (first/second class), whereas the Intercidades single fare is €28.05/€22.45 (first/second class); both fares use the same regional train from Lagos to Tunes. As there are only five daily departures from Lagos to Lisbon the choice of train is more dependant on the times which fit you more than the standard. Seats are allocated for the Tunes to Lisbon section but not on the regional train from Lagos to Tunes. There is always space available on the regional train, and the journey can feel excruciatingly slow, taking 1 hour to travel the 45km from Tunes to Lagos. Lagos train station (GPS: 37.108876, -8.672080) is to the east of the city, close to the marina complex. Lagos train station is modern but having only a single track and ten daily departures it is very easy to navigate around. The connection at Tunes train station (GPS: 37.164465, -8.255970) is easy; there is good signage and there will be lots of other travellers making the same connection. In Lisbon, the train service stops at the Estação do Oriente (GPS: 38.767826, -9.099003). This train station is connected to the red metro line and is close to the airport.